Two Cornell Statistics professors along with a Statistics alumni teamed up on a new textbook released late last year on the Springer Series in Statistics. 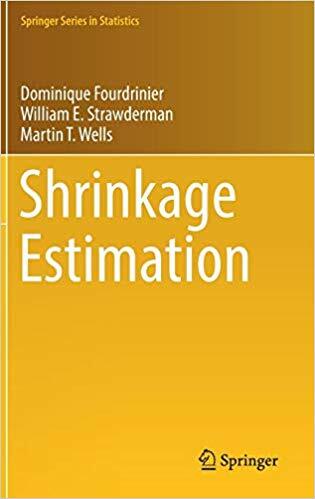 “Shrinkage Estimation” serves as an introductory, accessible guide on this statistical method, which is used to construct estimators with improved statistical properties. The book centers on what its authors describe as “point and loss estimation of the mean vector of multivariate normal and spherically symmetric distributions. The book’s authors are Dominique Fourdrinier, adjunct professor in Cornell’s Department of Statistics and Data Science (DSDS), William E. Strawderman (’65), a professor of statistics at Rutgers University and a 2015 Cornell Distinguished Alumni award recipient, and Martin Wells, chair of DSDS and the Charles A. Alexander Professor of Statistics and Data Science.